At Home Appartmental hote | At Home Hospitality Services Pvt.Ltd. 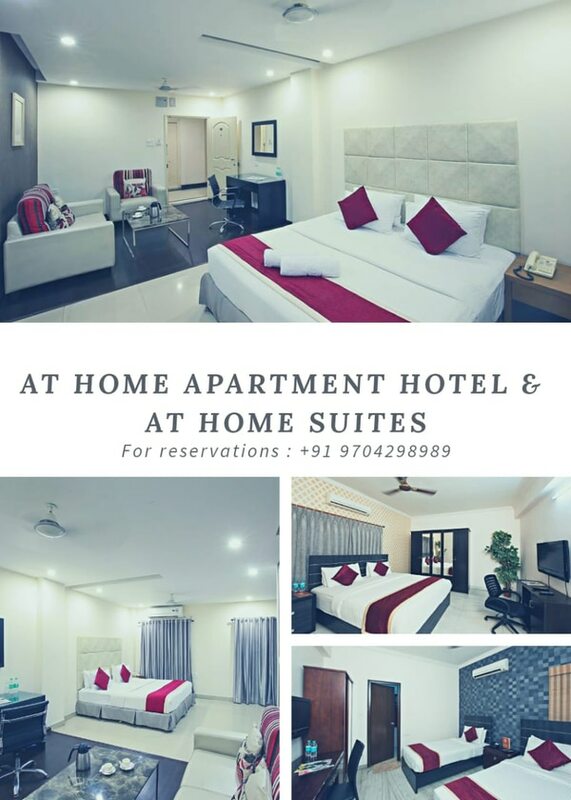 At Home Appartmental hotel And Suites is located in the heart of the City of Pearls and IT Hub of Hyderabad, close of Hi-tech city which is the home to all major IT Companies. 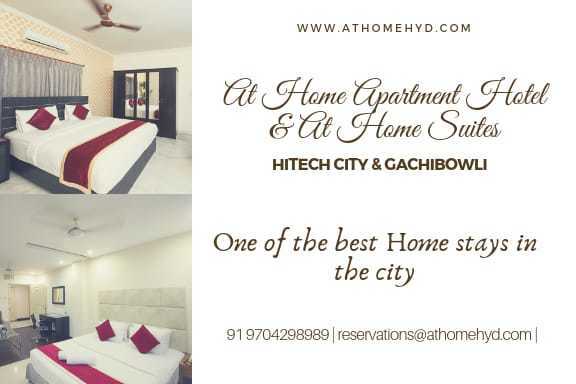 At Home Hospitality exhibits a fine mix of old world charm and contemporary facilities – it mirrors the grandeur of the city's rich history, and at the same time caters to contemporary business stay needs of the city's technology giants. 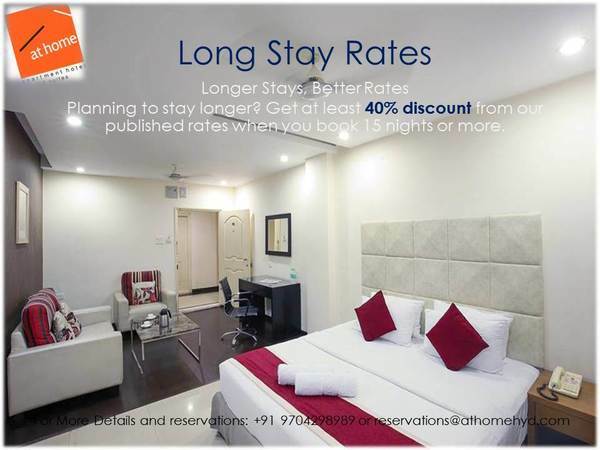 Offering the comfort of a home away from home, At Home Hospitality liberally extends business essentials, comforts and luxuries of modern times.